As soccer fans, we jumped at the opportunity to see four great international teams play in our backyard. 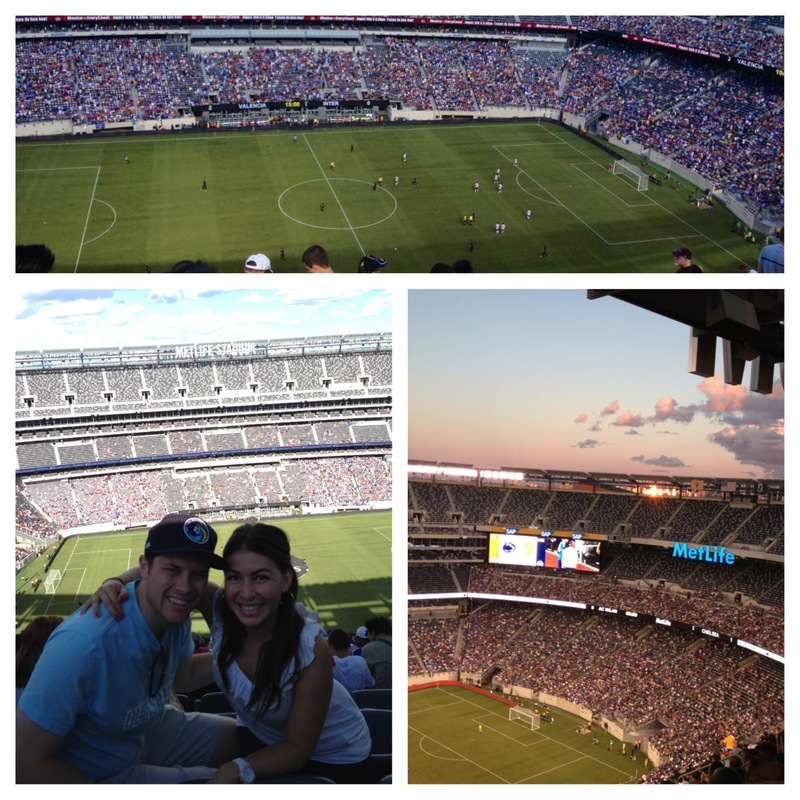 We went to MetLife stadium to watch Chelsea FC, Valencia FC, A.C. Milan and Inter Milan play. We went with friends and had an absolutely wonderful time! 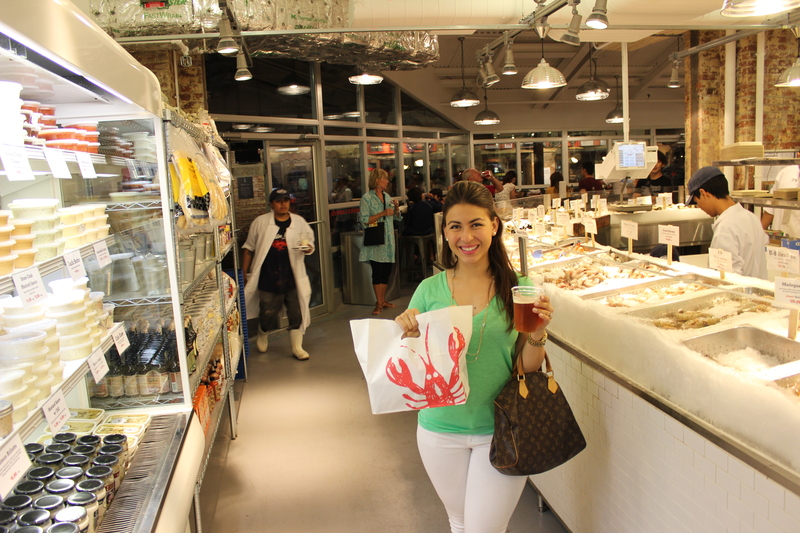 Picking up our fresh Lobster Roll at the fish market. Check out all the fresh fish options! Jason and I went to check out Chelsea Market this past weekend. For some reason, I had never been to Chelsea Market. I LOVED IT! It was so fabulous. 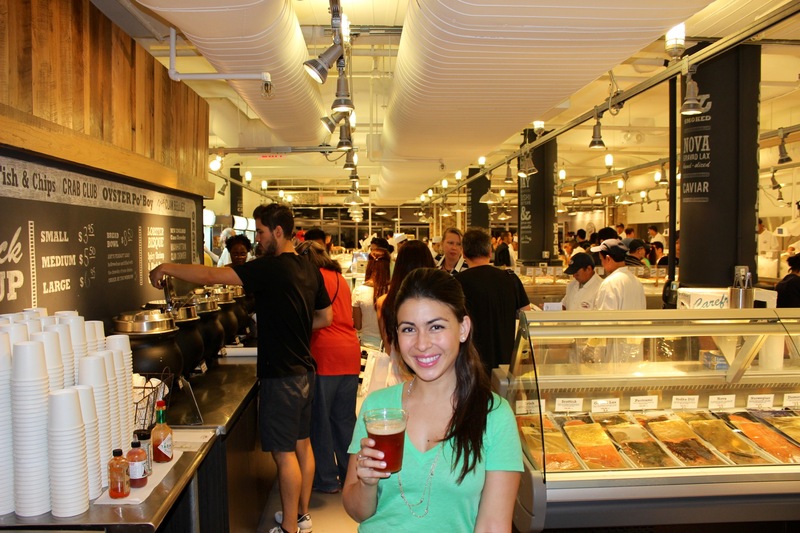 The atmosphere reminded me of Seattle’s Pike Place market (which I also love!). 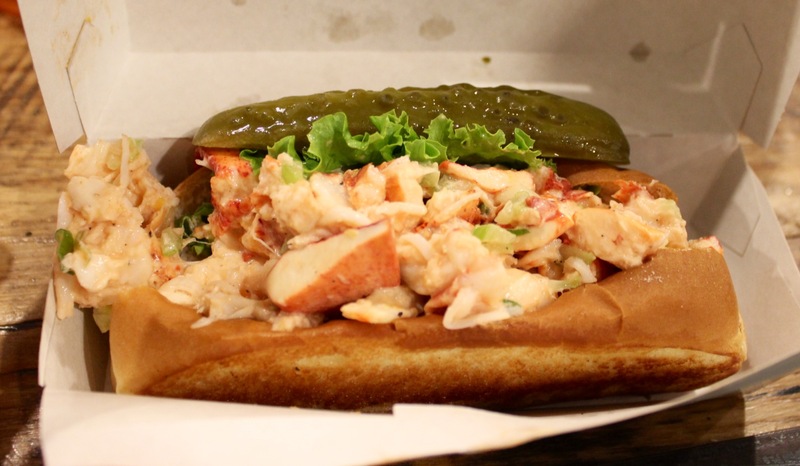 I read about Chelsea Market before and had been really wanting to try “The Lobster Place” and have one of their lobster rolls, as they were garnering a lot of attention online. We did! They were really delicious. Jason got the crab cake sandwich and that was super tasty as well! After walking around and shopping, we just had to stop and try this place called “The Doughnuttery“. This place makes mini donuts with delicious flavors. I’m still dreaming about these tasty treats! They were so yummy! Check out their website here. The flavors we tried were: Cacaoboy, Vanilla Glaze, Rainbow Sprinkles and Cinnamon Sugar. 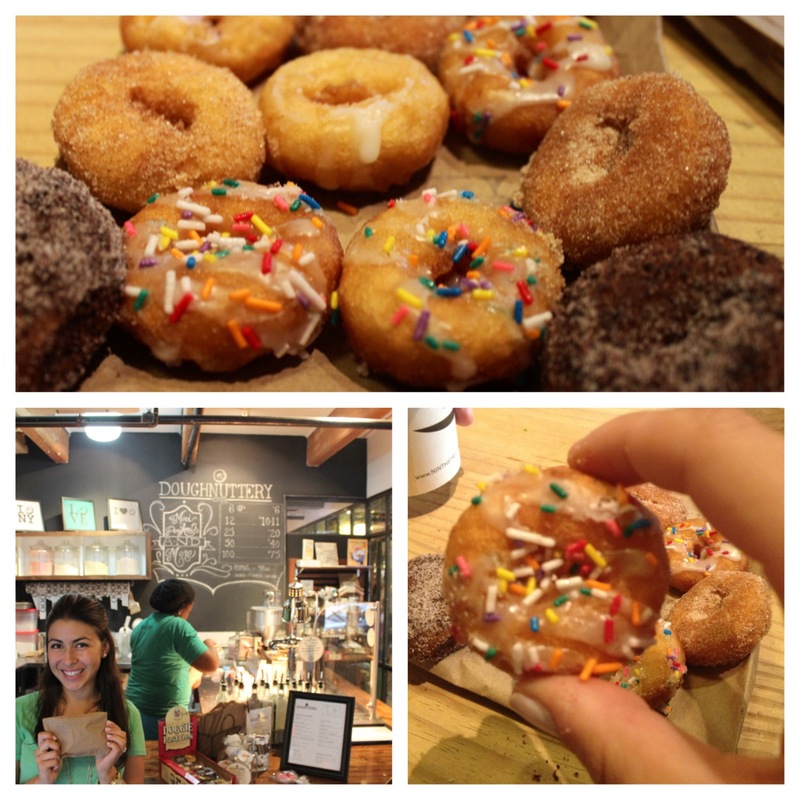 Do yourself a favor and try these treats next time you’re at Chelsea Market, friends! 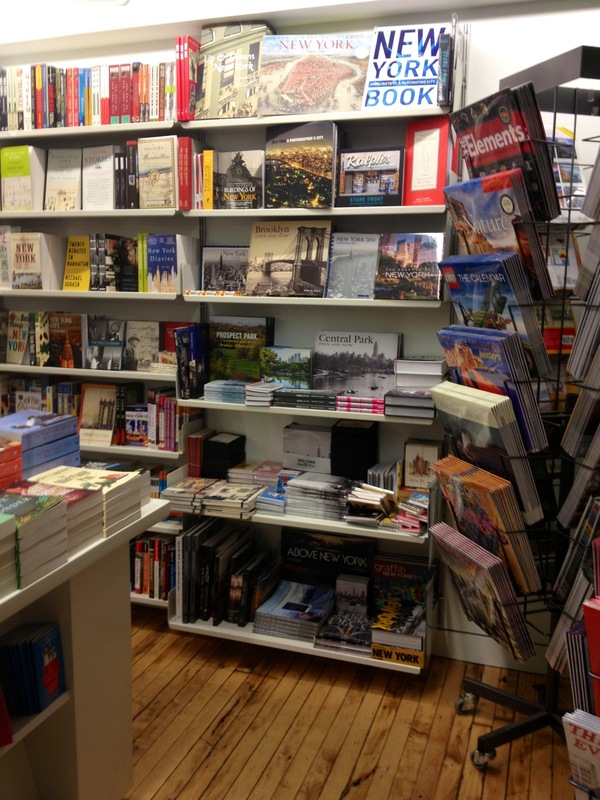 Posman Books….A bookstore I loved! This lovely, independent bookstore has a fantastic selection of books, stationery and games. After Chelsea Market, we walked down to SoHo. It was such a beautiful day out that we were really enjoying the chance to spend all day outside. 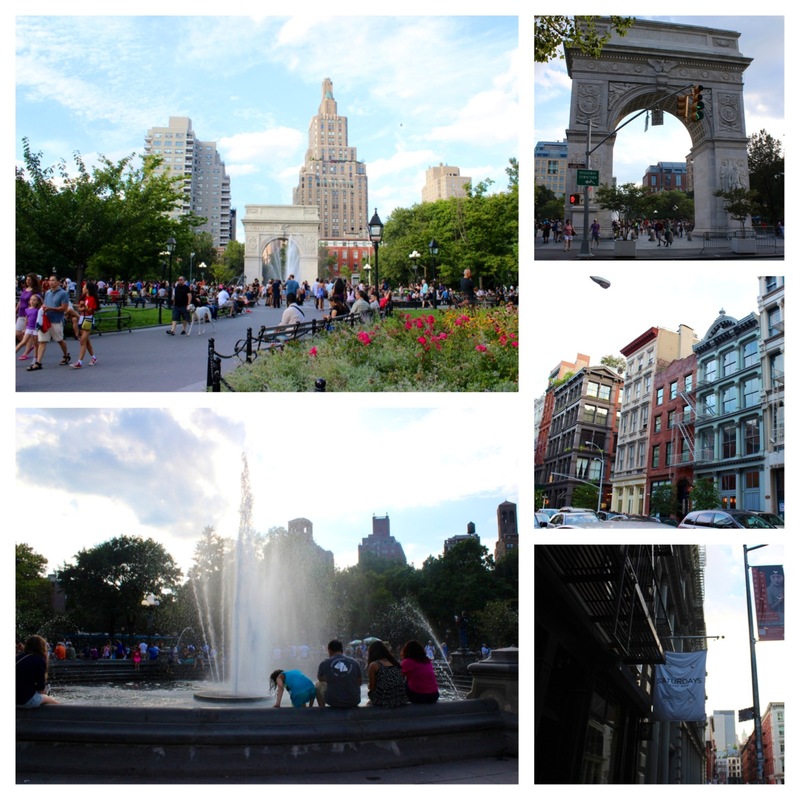 We walked around SoHo having coffee, window shopping and enjoying the day. In SoHo we stopped by a surf store that is really awesome called Saturdays. We often pop in here when we’re in SoHo because it’s a cool place with great coffee, nice clothes and a fun surfer vibe. Then, we went to the Mondrian Hotel for appetizers and drinks. 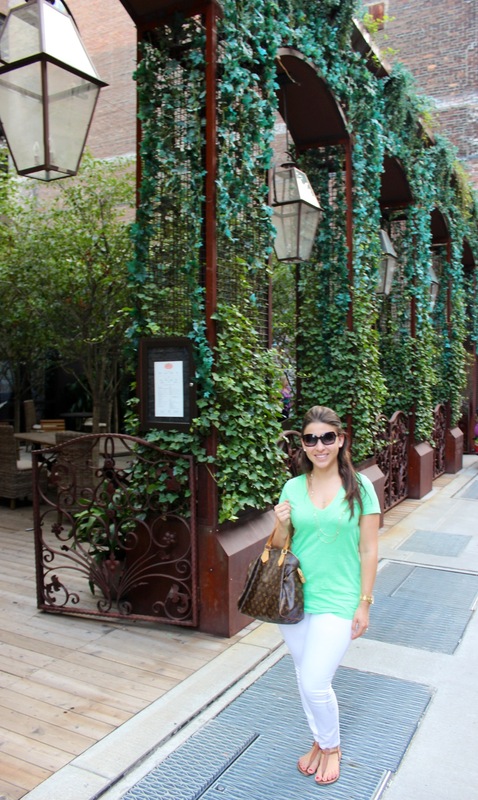 I love the Mondrian Hotel in NYC, it is such a beautiful venue. 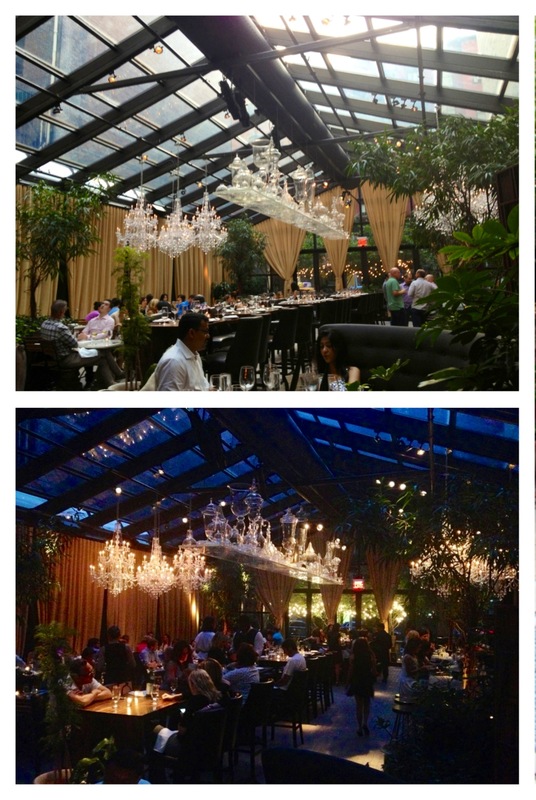 Below is the restaurant area by day and then by night. Gorgeous, right? 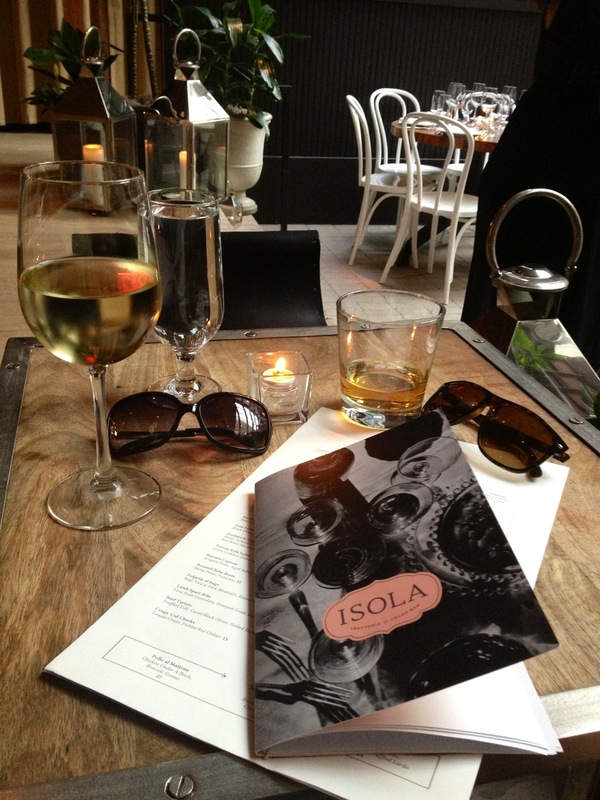 Wine for her, scotch for him. 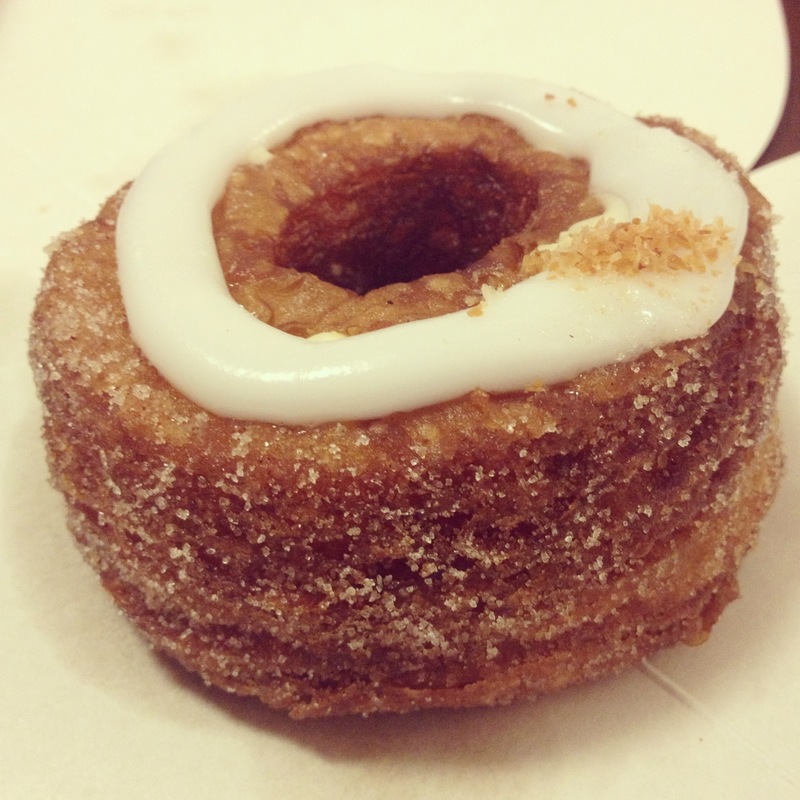 This week we had a chance to try the famed….CRONUT! Jason waited in the crazy long line early in the morning at Dominique Ansel’s SoHo Bakery to pick up cronuts for us to try. This month’s filling flavor (they change the filling flavor every month) was Coconut. The Cronut was really delicious! We both agreed that it was great! And, now we can check “Try a Cronut” off of our New York City checklist! 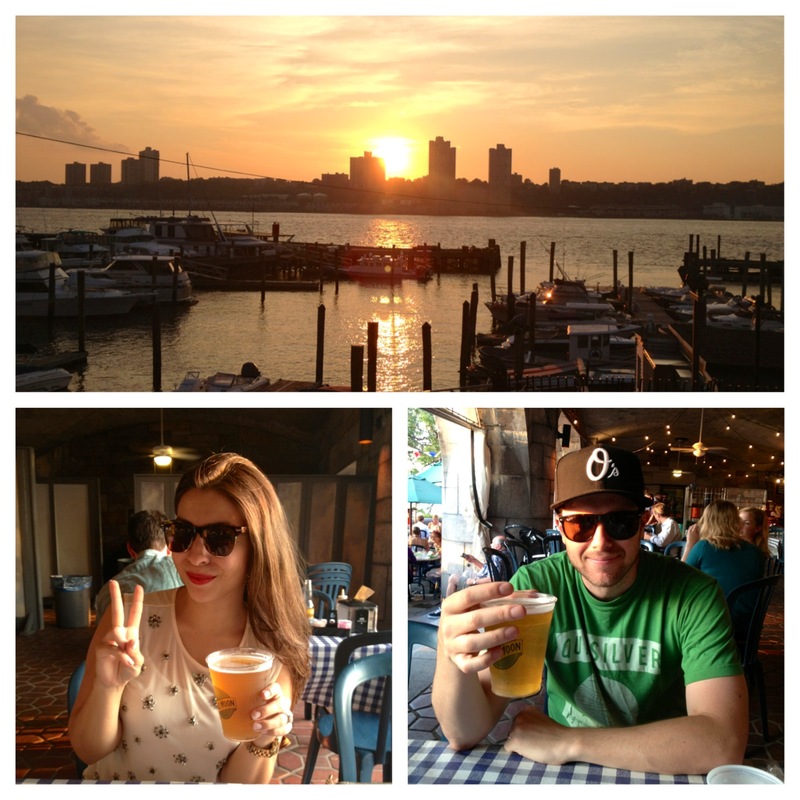 We ended our weekend with a low-key dinner date at The Boat Basin. This is one of my favorite summer spots in the city. The location (right on the Hudson! 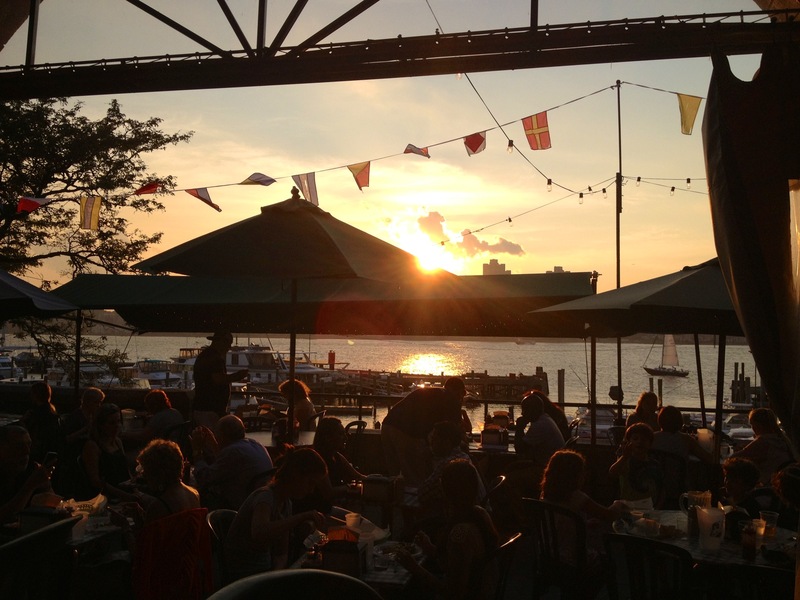 ), the outdoor seating, and the grilled menu options all make for a fabulous summer favorite. To me, not many things beat having a burger, beer and spectacular view with great company. Needless to say, it was a lovely evening! I mean, check out that incredible sunset!